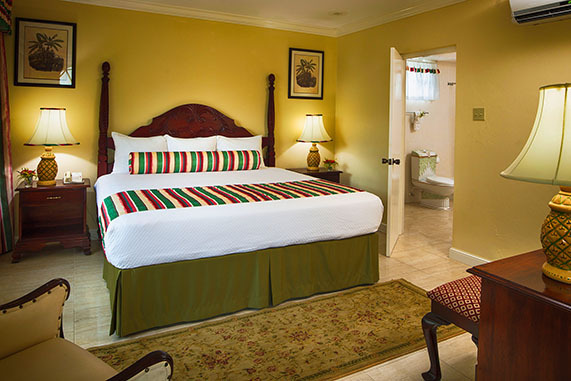 SeaGarden Beach Resort’s private beach club is a tranquil enclave reserved exclusively for in-house guests. The azure hues of a seemingly endless horizon are amplified by the rhythmic melody of the waves as they meet the sundrenched white sand shoreline. 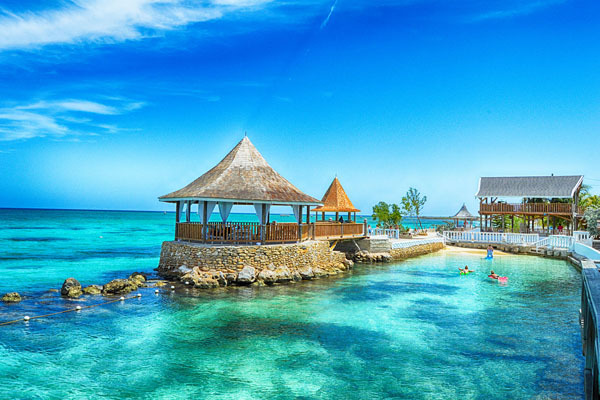 Coconut palms and covered pavilions provide refuge from the warm golden rays of the Caribbean Sun. 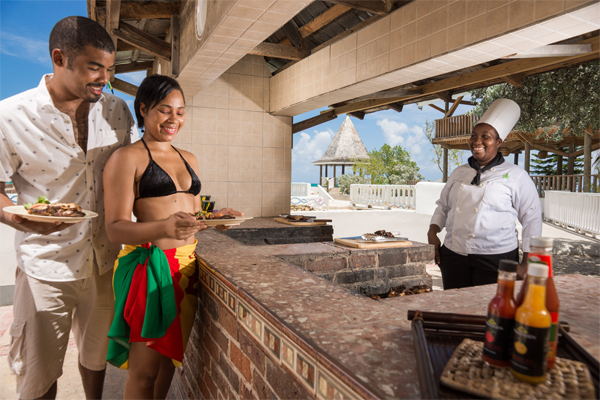 Traditional Jamaican Jerk and savoury grilled items are served from the picturesque seaside grill. 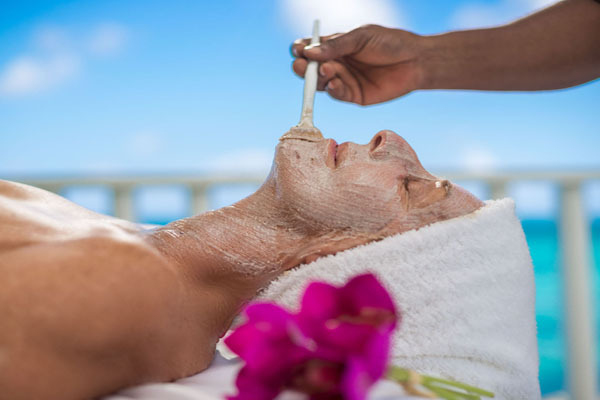 From the South Pavilion as you overlook the Caribbean Sea…Relax as you indulge in a therapeutic massage… Revive your energy with an invigorating body scrub… Restore your vibrancy while you are pampered with a restorative facial. 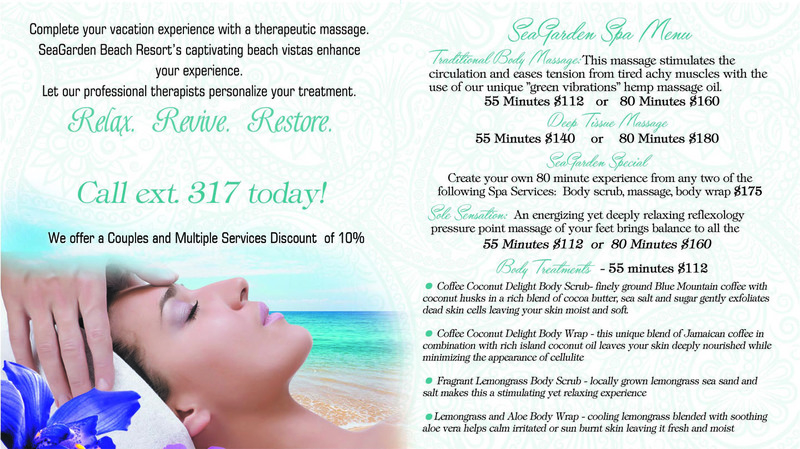 Check out our spa menu HERE. Choose from a range of refreshing alcoholic and non-alcoholic tropical beverages. 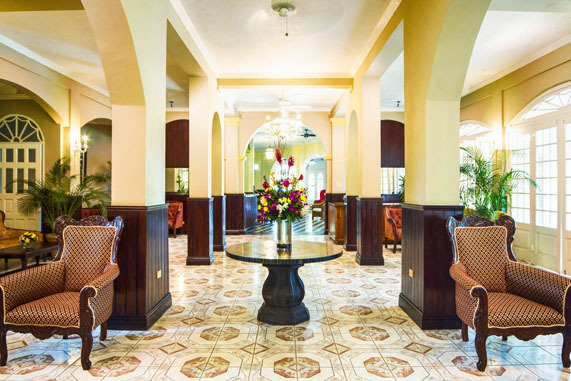 The bar at our private beach club is a great place to meet with friends. 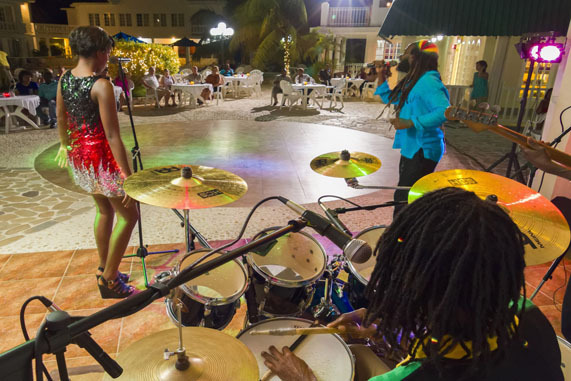 Jamaican Jerked Chicken & Pork are offered at SeaGarden’s Beach Bar & Grill. 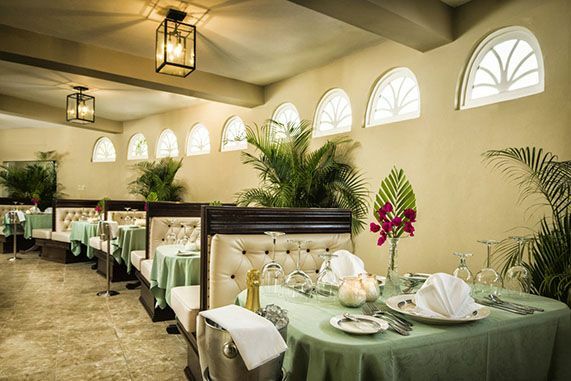 Vegetarian options are also available SeaGarden’s all-inclusive rate makes every day a great beach day! 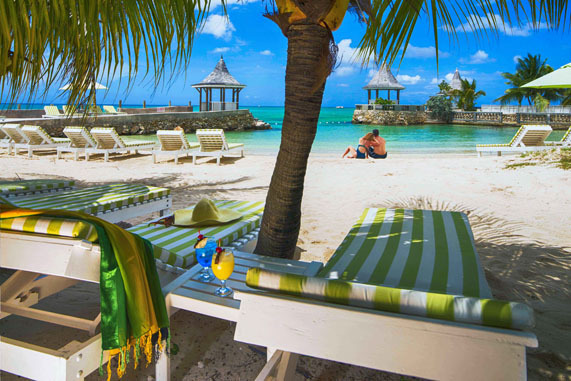 Traditional Jamaican Jerk and savoury grilled items are served from our picturesque seaside grill. 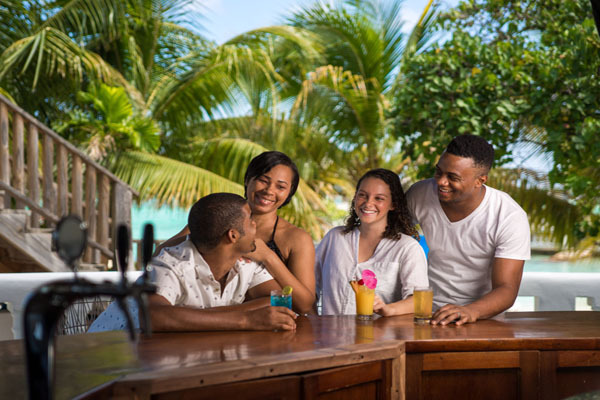 SeaGarden’s Beach Bar & Grill is open to guests from 11 AM – 5 PM daily. A family-friendly fun environment, we make sure that lifeguards are on duty daily. 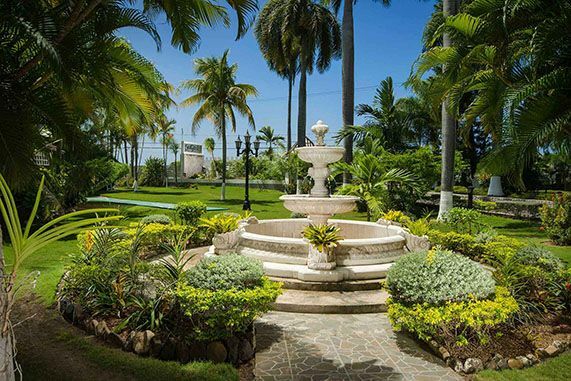 Whether you opt for a private dinner for two or would prefer an intimate dinner for family or group, SeaGarden’s picturesque gazebos are ideally situated on the cusp of the Caribbean Sea where a myriad of sunset colors vibrantly add a uniquely Tropical ambiance to your gathering. Planning an event? Maximize the memories with picture-perfect imagery! 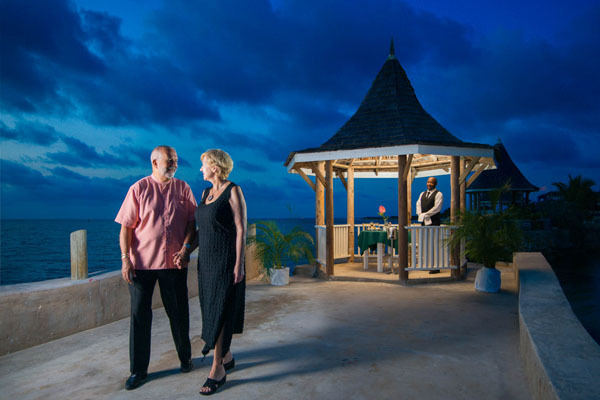 Sunsets at SeaGarden’s private beach club provide the ideal backdrop for a wedding or group. Configure multiple SeaSide venues to meet your unique event requirements. 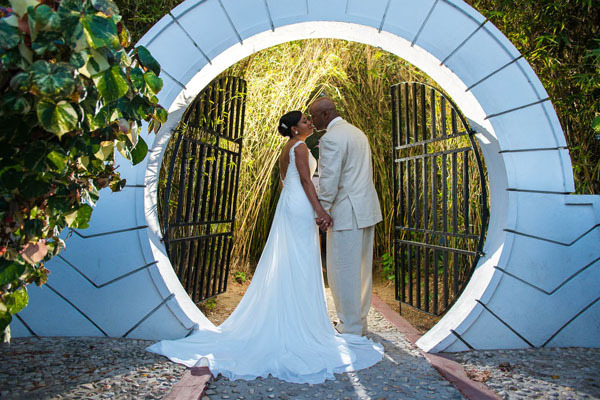 Fairy-tale “I do’s” are a reality at SeaGarden Beach Resort. Contact us now for more information on our wedding packages!